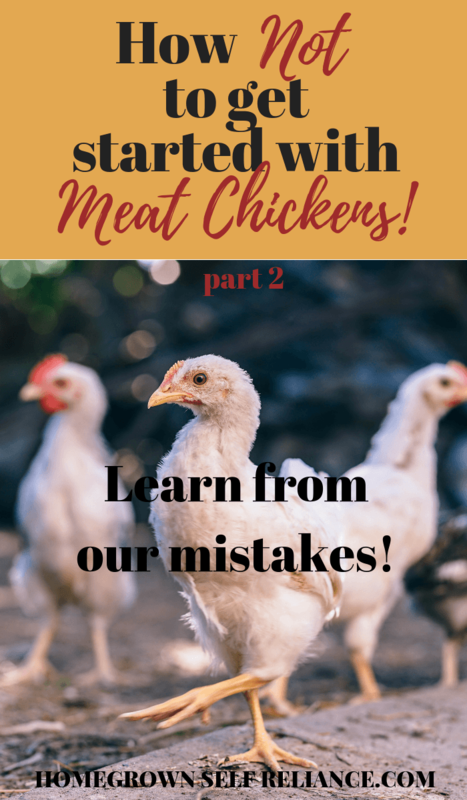 How NOT to get started with meat chickens - learn from our mistakes! 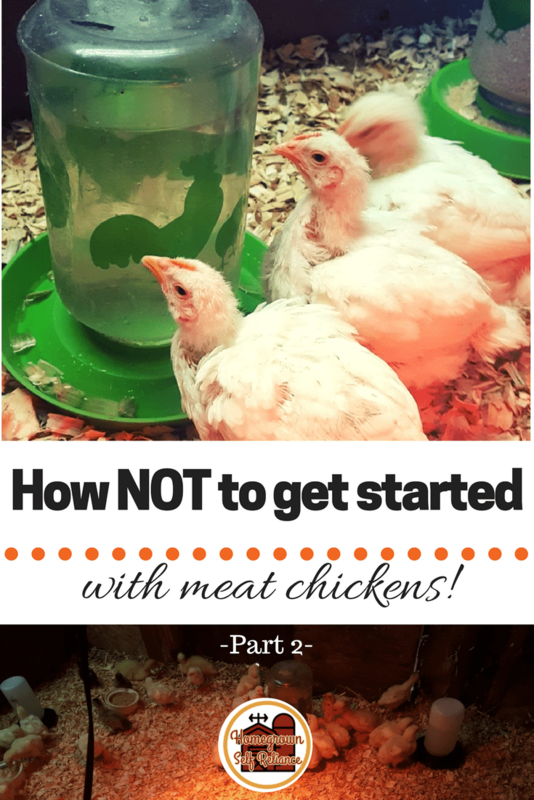 How NOT To Get Started With Meat Chickens (pt. 2)! 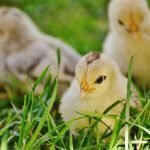 Now that we’ve had the meat chickens for 5 weeks, I wanted to give an update. You can see part 1, with mistakes 1-5, here, and part 3, with mistakes 10-14, here The chickens are quite comfortable in their grow-out brooder. It is still a little tight, but so much better than before! 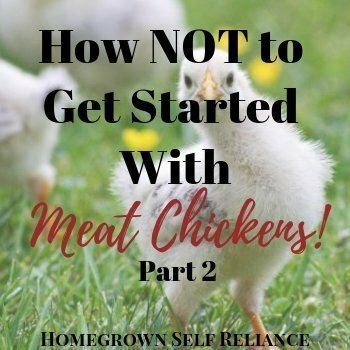 In this post I’m going to detail a few more things I’ve learned on how NOT to get started with meat chickens. When we first got the meat chickens, the hubs also bought 4 turkeys. Then my daughter decided to get 6 ducks, and then added another 2. The turkeys didn’t do so well. We lost 2 from the cat incident, and then lost another one for some unknown reason about a week ago. The one original turkey that is left is doing pretty good, but he is actually quite a bit smaller than the chicks. I don’t mind having that single turkey in with them, although I don’t know what caused the other one to die. My daughter since bought 2 more turkeys and 3 more chicks to replace the ones her cat killed. We have them in the original formica board box, and they are doing really well! It’s so much more manageable! The ducks were doing great. They actually outgrew the chicks quite quickly. But ducks are so messy! They spill so much food and water that it just made the chick brooder so unnecessarily wet. Having the ducks in with the meat chickens made cleaning the brooder so much harder. I decided a week ago that they needed their own home. We put the ducks temporarily in our original little chicken coop, until the son-in-law builds a duck coop. I made my daughter buy a new heat lamp just for them, since we were putting them outside and it’s still been getting near freezing at night. Just this small change has made a drastic difference in the cleanliness of the brooder. Yesterday we were cleaning out the brooder and making it to where the chicks can go outside when the weather is nice. One of the chicks got snagged on a nail that was sticking out of the doorway. He was bleeding. I cleaned him up a little and put him back in. The other chicks started pecking at the bloody spots. I immediately took him out and put him in a separate plastic tote by himself. This is one thing you really need to keep in mind as well. 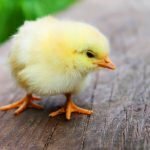 You need to have somewhere safe and secluded that you can put a sick or injured chicken. 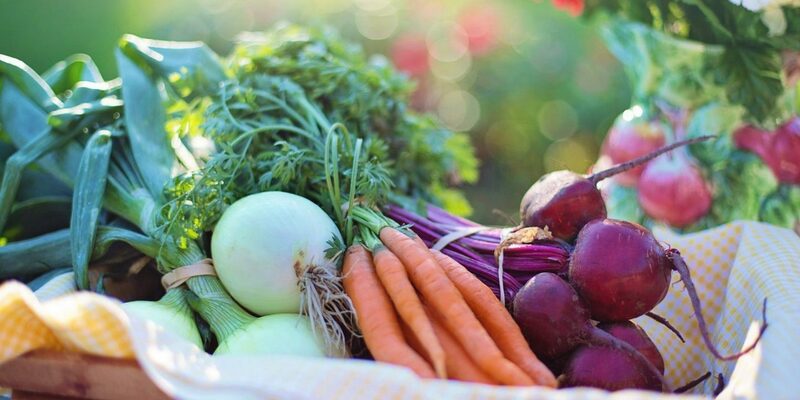 This is very important to control bacteria and protect them from the others. Think of it as “chicken quarantine”. I love the deep litter method for my laying hens. But when I tried to do it with all these meat chickens, it didn’t work too well. There was just too many birds in a smallish area. Especially when the ducks were in with them. Ducks spill way too much water in the brooder for deep litter to work properly. The litter was wet and spongey all the time. Even though I feel it’s more work to do, I decided that it just needs a complete clean-out and disinfecting once a week. 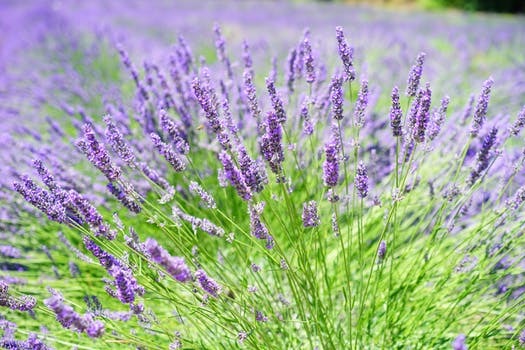 This time, for my coop disinfectant, I used water, apple cider vinegar, and several drops of Lemongrass essential oil in a spray bottle. 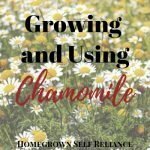 It helped so much with the stink! 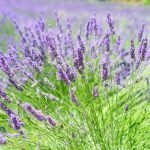 The apple cider vinegar works as a natural disinfectant, and the Lemongrass essential oil is antiseptic, antibacterial, antifungal, and antimicrobial. After cleaning out the brooder, we sprayed the disinfectant liberally all over the floor. Then we put new straw and pine shavings evenly throughout the brooder box. The chicks are really enjoying the fresh bedding! Last but not least, I want to say do NOT raise as many as we did, unless you have lots of experience in it! 50 is just wayyy too many for those who haven’t raised them on their own yet! 50 is just too many for beginners, but it did give us a starting point to think about needing at least 1 full chicken for dinner every week. 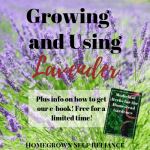 I have even thought about trying to raise some at the end of summer, when you don’t have to use a heat lamp when they need it most, in the beginning. 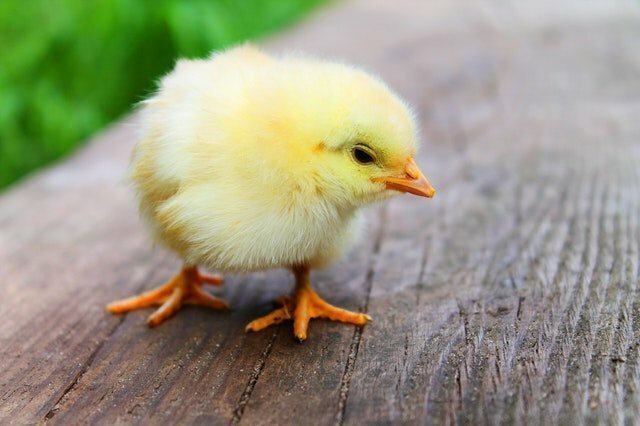 Then when the weather cools down, the chicks will have their feathers and will be better able to handle the cooler weather. Whichever way you choose, PLEASE, for the sake of your sanity, start with a few and raise more each successive time. 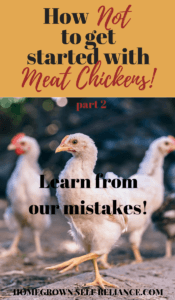 Now that you know how NOT to get started with meat chickens, I hope you will give it a shot using these mistakes as a guideline. 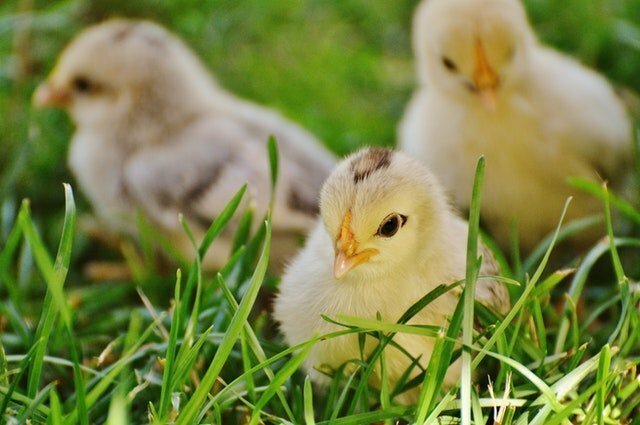 Raising meat chickens isn’t hard, and it’s a great way to up your family food supply. Make sure you read part 1 and part 2 as well! 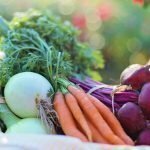 What tips can you share with me?